Just as the identity of Brussels remains unclear, forever shifting and very much alive, so is the sonic world SAGAT conjures, moving the listener into forever unexpected syncopations and melodic elements. 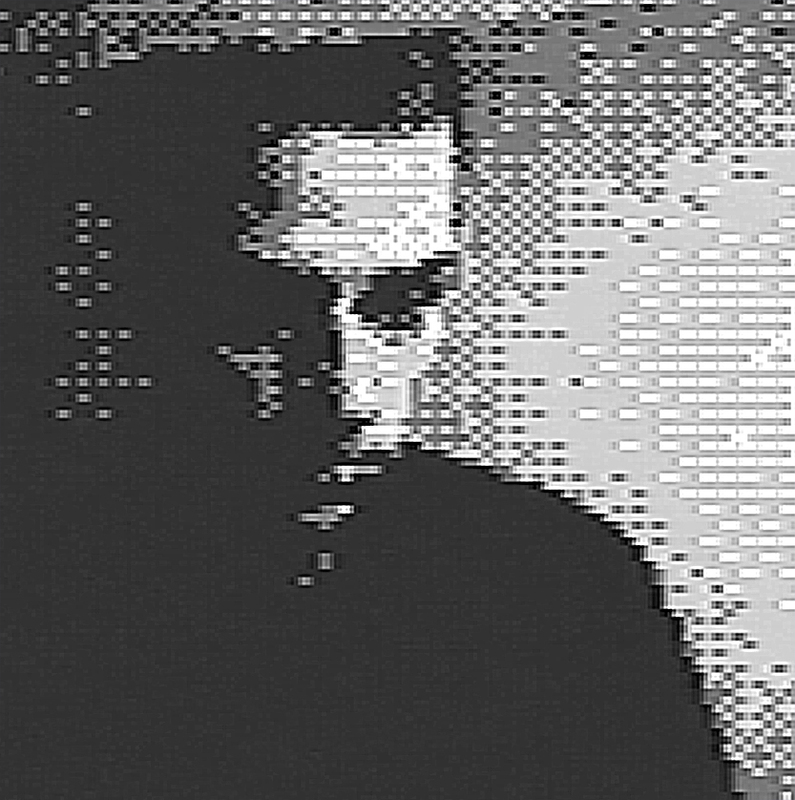 His releases have appeared on the Brussels label Vlek, and he also runs his own imprint called Bepotel Records (named after his collaborative music project). It is with Bepotel that he will perform at the upcoming Schiev Festival in Brussels. I was talking to schiev yesterday and they also mentioned Brussels and the influence of the city on their work. I grew up in the outskirts, but I really wanted to live in the city. I think it is the heterogeneity of Brussels. It’s a typical Belgian thing, it’s really multicultural. There’s no defined identity as such in Belgium and that’s something I find interesting. It can be a harsh city, but it’s also very local, the city becomes part of you. You also mention that the topography of the city has a direct influence on the structure of your music. Electronic music is quite a recent urban phenomenon. It makes lesser sense in the countryside because the surroundings aren’t bass influenced. You have hi-fi sounds, forest hiss and much higher pitches and when you go to the city you have these rumbling drones and people eventually get tuned into certain sounds. We in Belgium get influences from all of the neighbouring countries like Germany, France or England. People shift in between those kind of influences, and make their own brew out of it without necessarily having this strong personal identity. Its hybridity is its strength. In a way this fluid identity also gives more freedom. That’s true. I think a lot of people are doing really interesting stuff in Brussels at the moment. It’s becoming a fertile ground. The scene is tiny, but we are going somewhere. You have also released music on the Belgium label Vlek. Vlek are friends of mine based in Brussels. I’d love to continue working with them. There are a couple of really cool labels here like Plynt, Pacific Records, Testtoon, Angström,… The scene is quite small and everybody is pretty close. You have to support each other to get anywhere, the audience isn’t big enough for the kind of music people are playing right now. Belgium has had quite a rich electronic music history with the New Beat scene, Bonzai Records, etc. Yes, it’s huge, but it wound down at the end of the 90s and got surpassed by the UK and Paris scenes, etc. When I first saw the movie The Sound Of Belgium, I wasn’t aware of the fact that Belgium gave something significant to the history of dance music. But I’m too young to have really experienced that. I’m more influenced by the UK IDM scene and dubstep. A generation after New Beat. Can you talk about your production? I have a studio outside of Brussels in this factory space. I usually start jamming with synths and whatever I can get my hands on. Then I end up throwing it together and start editing in Ableton or another software. It’s really varied, I don’t have a fixed way of starting a track. Because even though it’s still dance music, it’s not really straight-forward. It’s about eclipsing some sort of structure and giving more space to the elements that you can let float, while being rooted in the club context. I like it when you can float away a bit and think about how certain sounds affect you, so that you are listening to a memory of a sound rather than the sound itself. You let things become more blurred without becoming lo-fi. How does this work with Bepotel? We have been making music since 2007. It’s going pretty well for us right now, it’s more clubby and less dreamy. But it’s still “Oddball” techno. Do you play a lot in Brussels? I’m playing every week, I’m pretty busy right now with both projects. I play here and there in Belgium for instance at FUSE, which is the only dance club that has been functioning in Brussels since the 1990s. Do you have a musical or artistic background? I studied animation film. After a while, I got bored with investing so much time in drawing for film – working for four months on something which is then a minute. So then I started making sound for film. In the end, I was in the studio constantly making soundtracks for all my classmates. That’s when I taught myself to work with Ableton. I did everything by myself without having a musical education. When you make music, do you also have this visual aspect to it, like a soundtrack? I have a notion of a space where I want to create my music, but it doesn’t necessarily need to be a visual space. Things can evolve and happen without having to be synesthetic. Do you see any parallels between these two worlds – the musical and the (visual) arts one? A label can function like a gallery. You have to shift through so much stuff these days. Even with Bepotel, we get sent a lot of promos despite the fact that we never actually released other people’s music. In this respect the importance of the local scene gets even bigger. Lot of things that get hyped on the internet are not rooted in a place where you can experience the music, so it often gets lost over time and no one knows where it went.